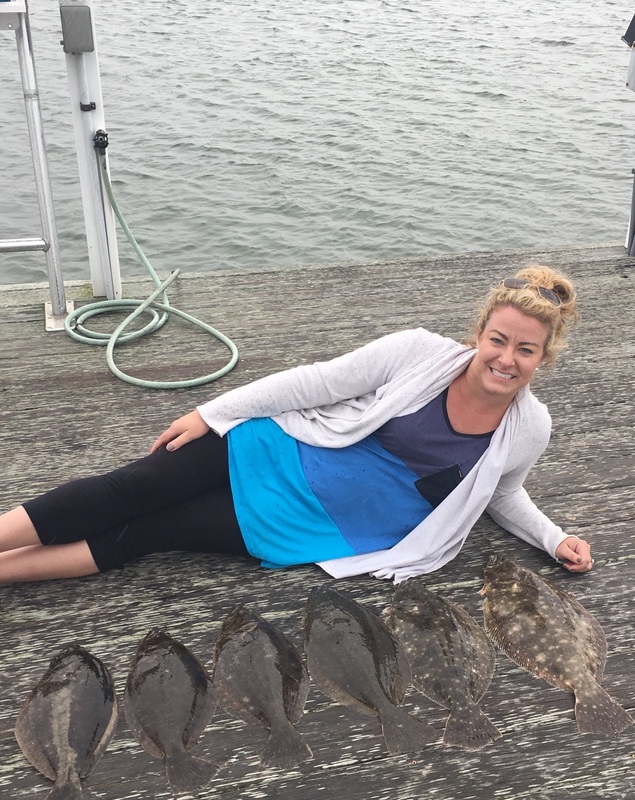 Catching your limit of summer flounder during adverse weather conditions, like we had this weekend is a good sign. That’s exactly what Dayna future (daughter in-law ) and my son Justin did on Saturday. Looks like summer flounder have arrived in good numbers in the back waters. Weakfish have my full attention at this point. The weakfish bite over the last few days has been slow but steady. 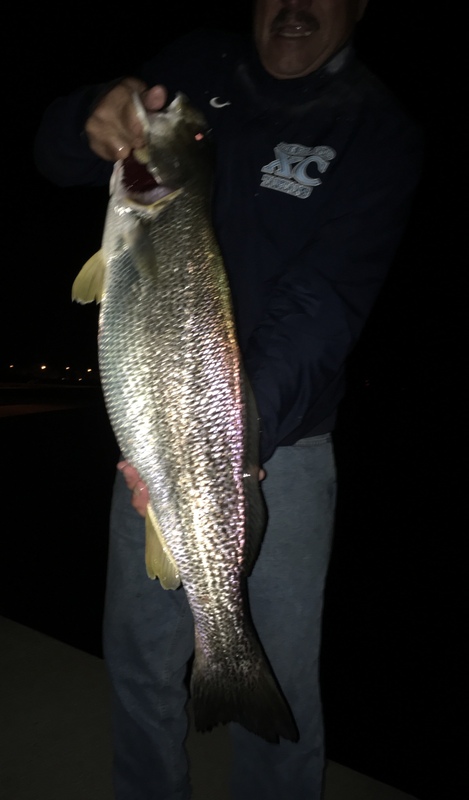 My first tide-runner weakfish of the 2017 season. 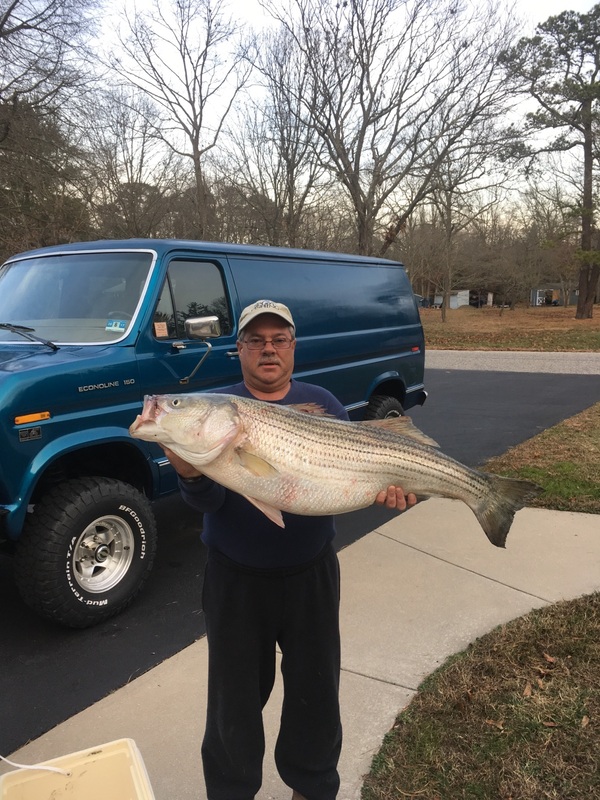 Cj caught this 45.5 inch Striper today 5-23-2017, how much do you think it weighed ? 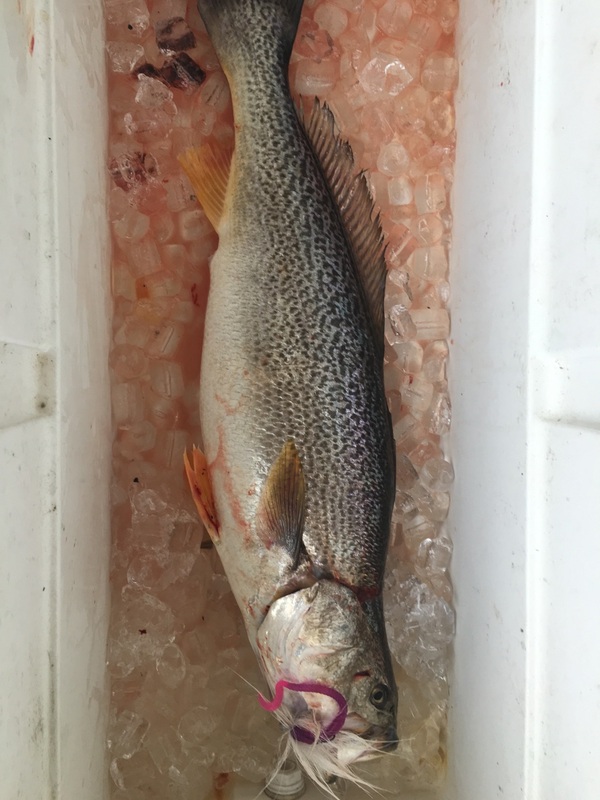 Bill’s tide-runner weakfish weighed in at 10.66 pounds. 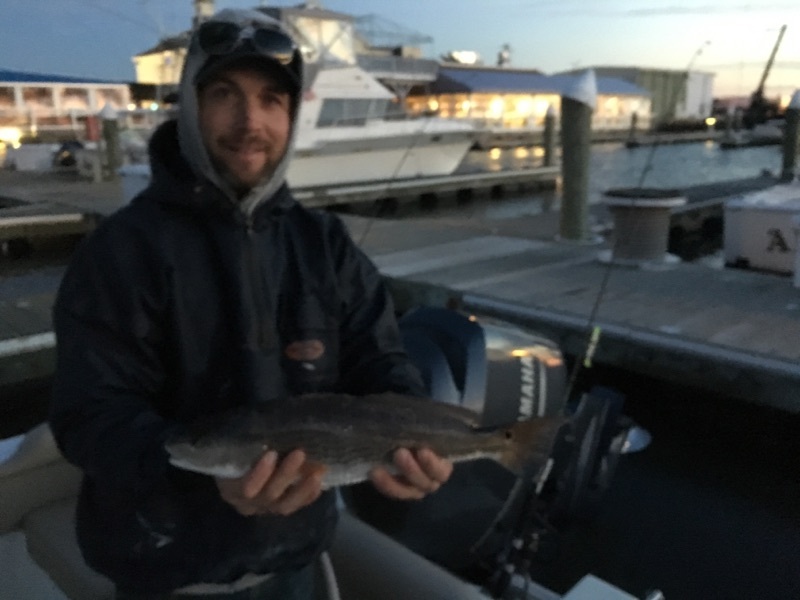 Ed Teise earned second place in this tournament with a 10 plus pound Cape May weakfish. Bill and Ed are no strangers in the winners circle. They both also placed on the top ten 2016 anglers list during the Fishermen Magazine’s fishing tournament. The 3 largest (documented) weakfish caught on planet earth,in 2016. Bill Collins (10.66), Ken McDermott (11.70) , Ed Teise (10+). Ed and Bill, are also listed among the top 10 anglers on the east coast , in the Fishermen Magazine’s tournament. CONGRATULATIONS to all 11,500″ Beach N Boat tournament Anglers! 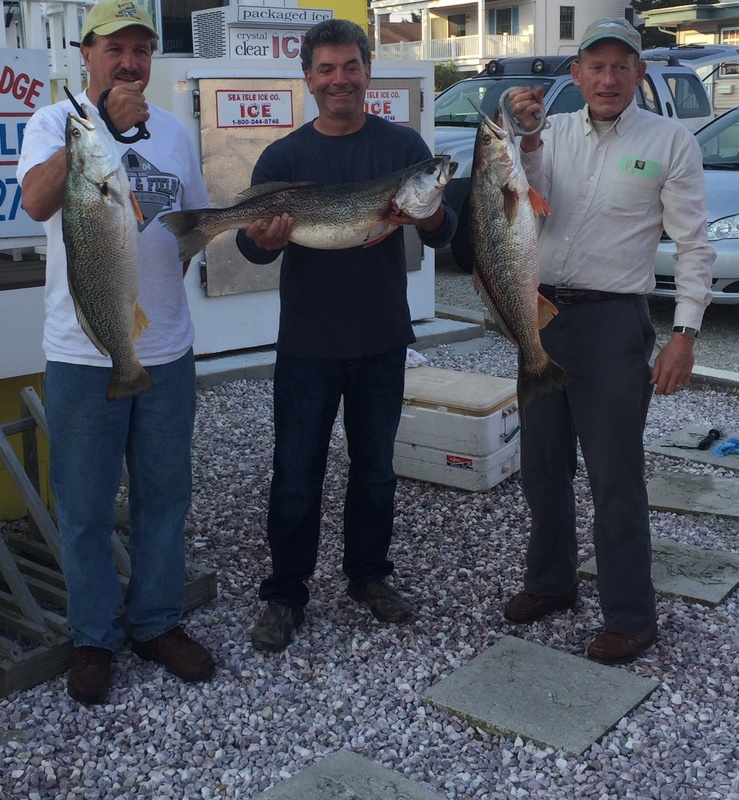 * 2016 Winners list * That includes a tournament record weakfish. There’s that tricked out, beach beach van again ! 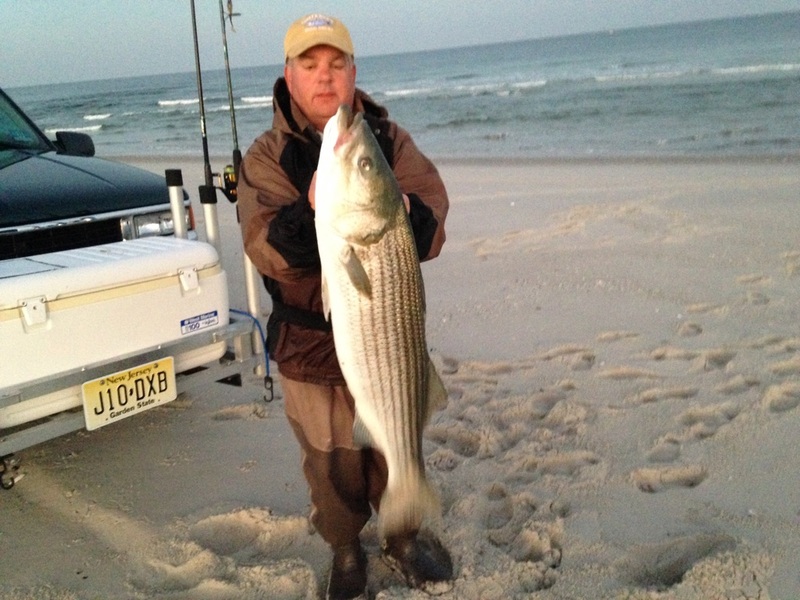 Jeff Polhamus shows a beautiful 44″ striped bass. He caught this one on a popper from the surf. Missy Alcorn shows a nice striped bass. 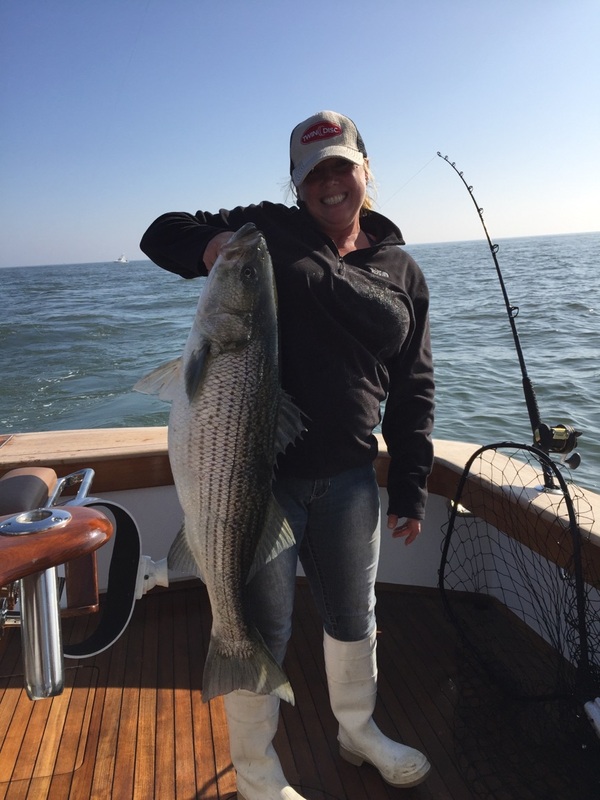 She caught this striper just south of Cape May.She was fishing with accomplished Captain Doug Ortlip. The red drum bite pulled me out of the woods,into the boat and onto the beach. 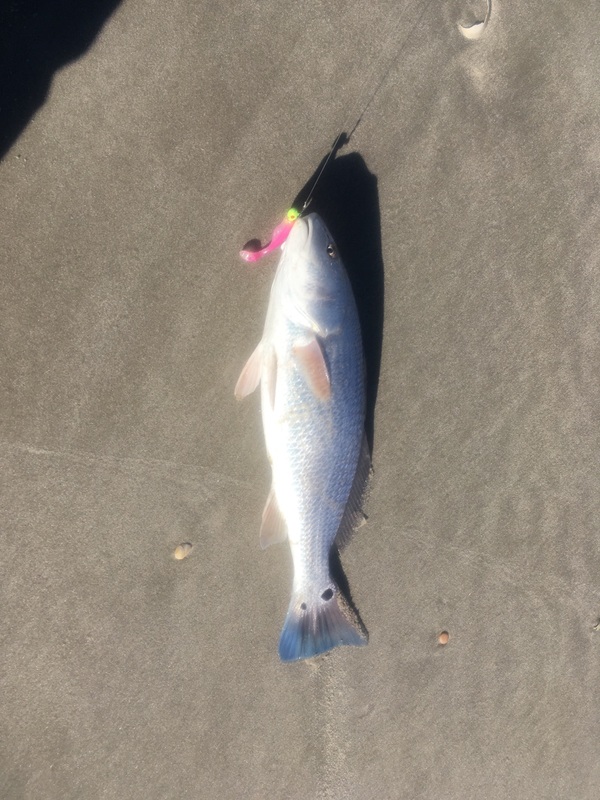 Sure enough , found the red drum bite excellent and mixed with keeper size stripers. (Much effort applied).The reds have been caught along the beach, from Avalon to Cape May point. Back to the oak grove..
Ed Teise shows his first 2016 Jersey Red . Check out all the spots. 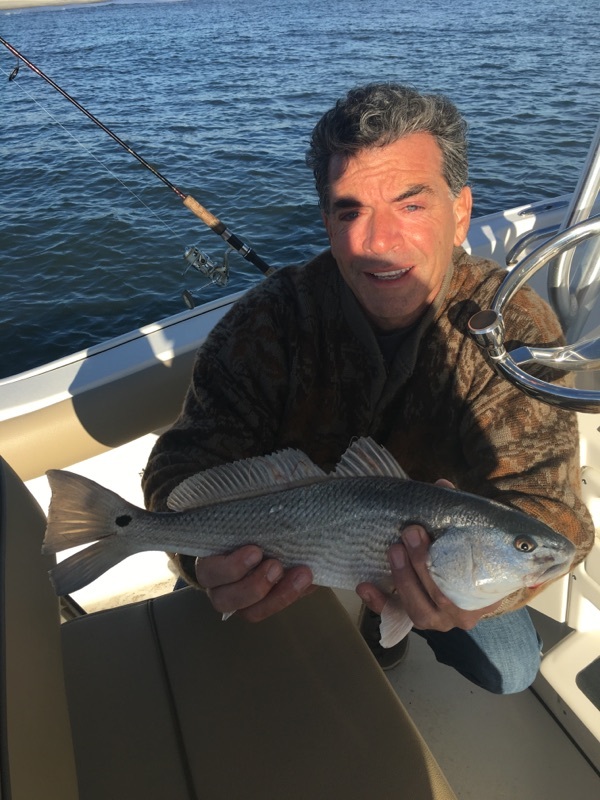 Ken found an hour of time, for the Jersey Red Drum bite. Along with information on how to catch , and were to find them. The sounds and sights are spectacular . They are totally unique to the Cape May co. sounds, during a summer night high tide. Every step I made was with extreme caution. Knowing, a miss step could fill my wadders with saltwater. Pretty much guarantying a story about a drowned fisherman in the Press of Atlantic City. Why risk it? Why not wait for daylight ? Why not fish from the boat ? Well,in a nut shell,it is a mindset. Yes, many would consider it a little crazy. However, without this mindset, it is close to impossible, to catch tide runner weakfish. Actually, without it , you limit yourself to mediocre, regardless of your endeavor. Ed Teise was high hook this night. Matter of fact, I would bet he has caught more keeper size weakfish than anyone on the entire East coast. At this point in the 2016 season. Hold for the largest weakfish. 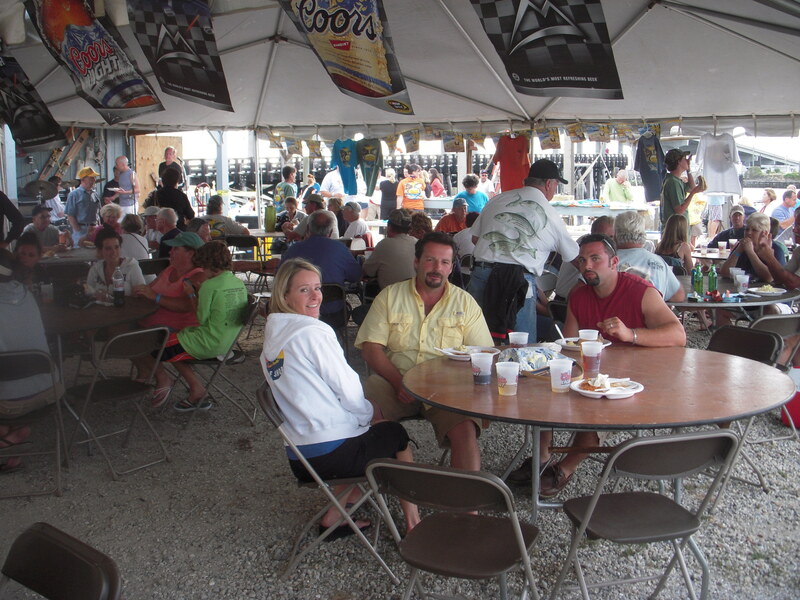 Excellence,fun ,competition, friends and family, this pretty much describes the Grassy Sound Marina’s Flounder Tournament. The annually tournament is next Saturday June 25. It is a really good time. Do yourself a favor, if your into fishing, don’t miss it. The summer flounder bite has been red hot this week. Last time I was out we had 7 keepers. Gary on the double touch, limited out yesterday. The fishing conditions are in place ! I hope to see you next Saturday. 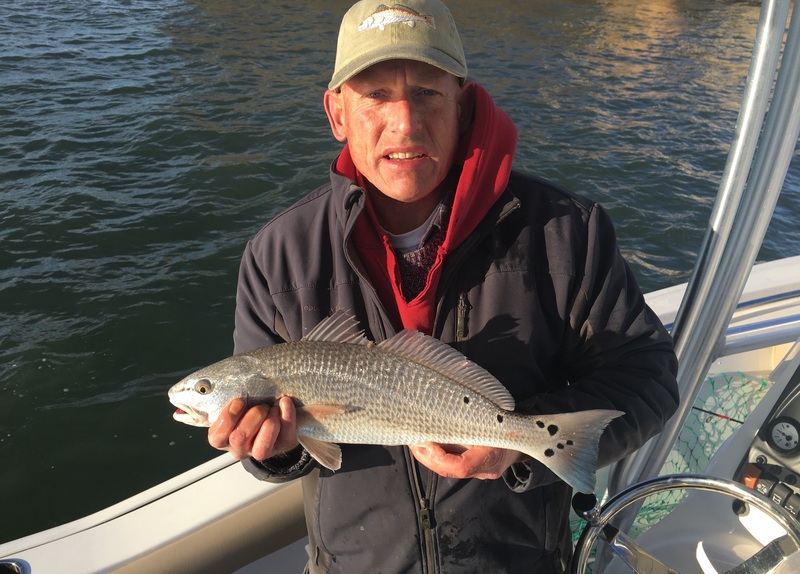 CJ Polhamus and his 2016 spring tide runner weakfish. He makes the Fishermen Magazine’s Tournament leader board again, this year with this 8.9 pounder. 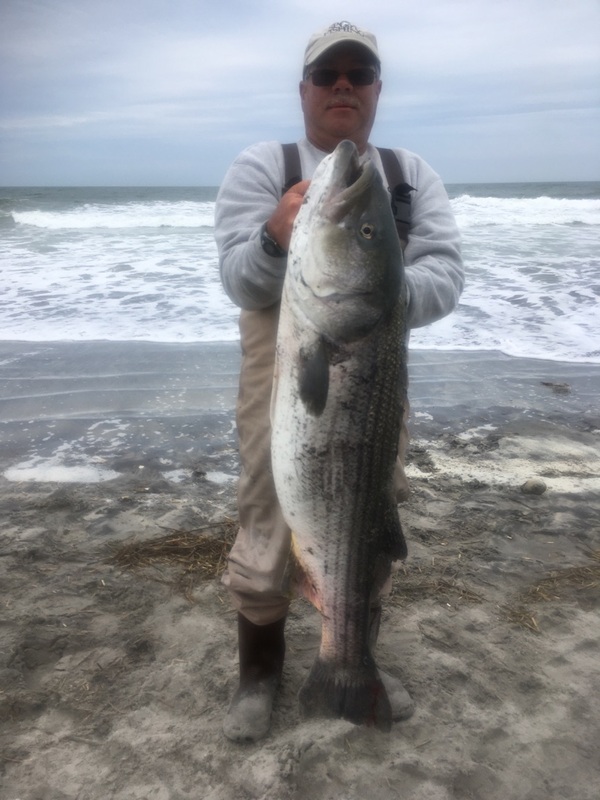 Cape May County Fishermen have been putting up some nice fish, on the leaderboards of both the Beach n Boat, and the Fishermen Magazine’s tournament. Mater of fact, Ed Teise is still the overall leader, as of today, in the Fishermen Magazine . Check out the tournaments if you get a chance. I have a link below.